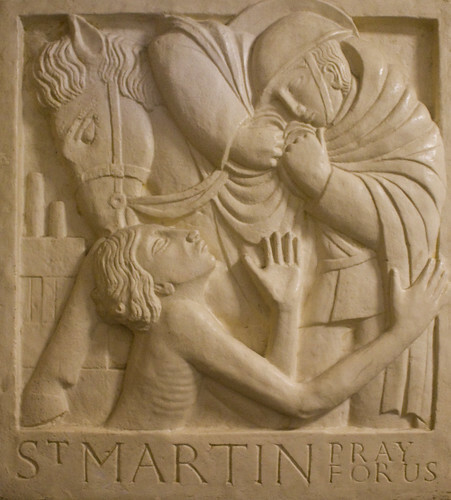 St. Martin is a patron saint of the poor and outcast. As legend tells, the soldier Martin discovered a poor beggar one night, shivering, and cold. Martin gave the man half his cape for warmth. The next night, he dreamt that he saw Christ wearing the same piece of his cape. After that, he spent the rest of his life serving those in need, bringing light and warmth to those in darkness. November 11th is his feast day, originally celebrated in many French households with a festival of lanterns.